I love peanut butter, however given that it has a whopping 600 calories per 100g (and I can quite easily eat 100g at a time), I’ve realised that my peanut butter addiction has to be controlled, which brings me to this recipe! 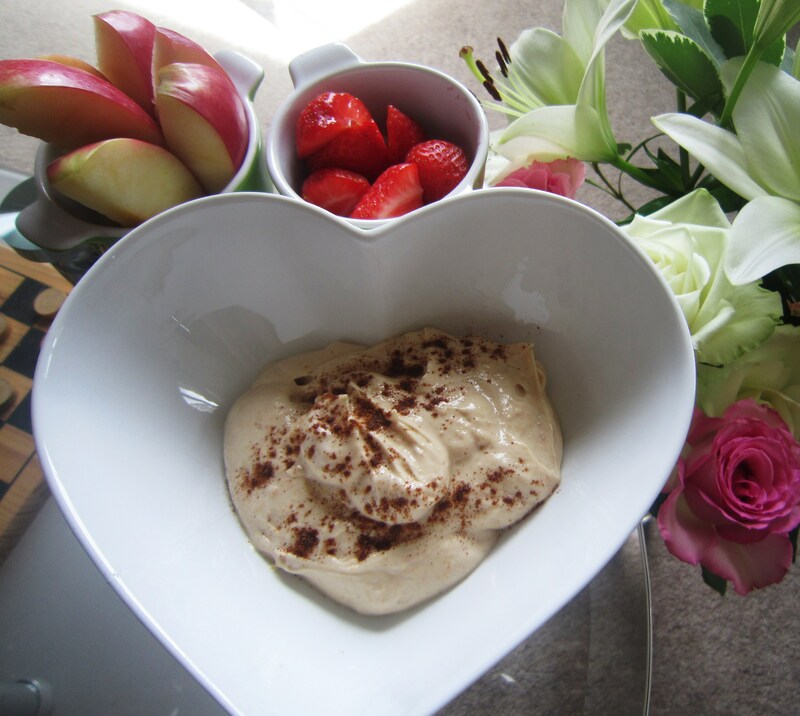 This recipe post was inspired by PB2 or PPB – the lower fat (powdered) version of peanut butter, as well Alpro’s new *Inspire My Day* campaign, which aims to encourage people to try something new each day of summer.. In this post I inspire YOU to make your favourite nut butter ‘lighter’ by following this super easy recipe! Peanut butter is a fantastic source of protein (7g per 2 tbsp), healthy fat (which helps to keep your heart healthy and ultimately looking good from the inside out) and vitamin E (a powerful antioxidant vital for healthy skin). At 195 calories per 2 tablespoons, peanut butter is one of those foods which either a) is fantastic for helping you to gain weight/meet high energy requirements or b) must be enjoyed in moderation. This dip really does taste AMAZING and if you scroll down I’ve also added an even skinnier version of it (with added cocoa goodness!). The reason why the dips are ‘skinny’ is because they are ‘less energy dense’ i.e. less calories weight for weight – as humans we often eat by VOLUME, so it’s easy to gain weight if we’re constantly eating foods that are very energy dense.. fruit and vegetables on the other hand, are fantastic weight loss foods as they are packed with water and fibre and as such have a low energy density.. making them the perfect accompaniment to this dip!! 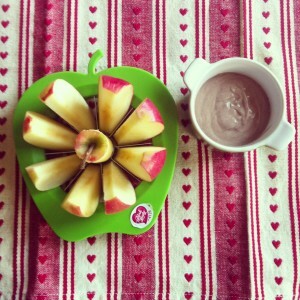 Serve with fresh fruit pieces and enjoy guilt free!! *If you’re lactose intolerant then I suggest using Soya Yoghurt – nobody should miss out on yoghurt! .. My next plan is to swap the yoghurt for extra light cream cheese or Quark.. so do let me know if you try this before I do!! **Or you could swap for 2-3 tbsp of PPB! 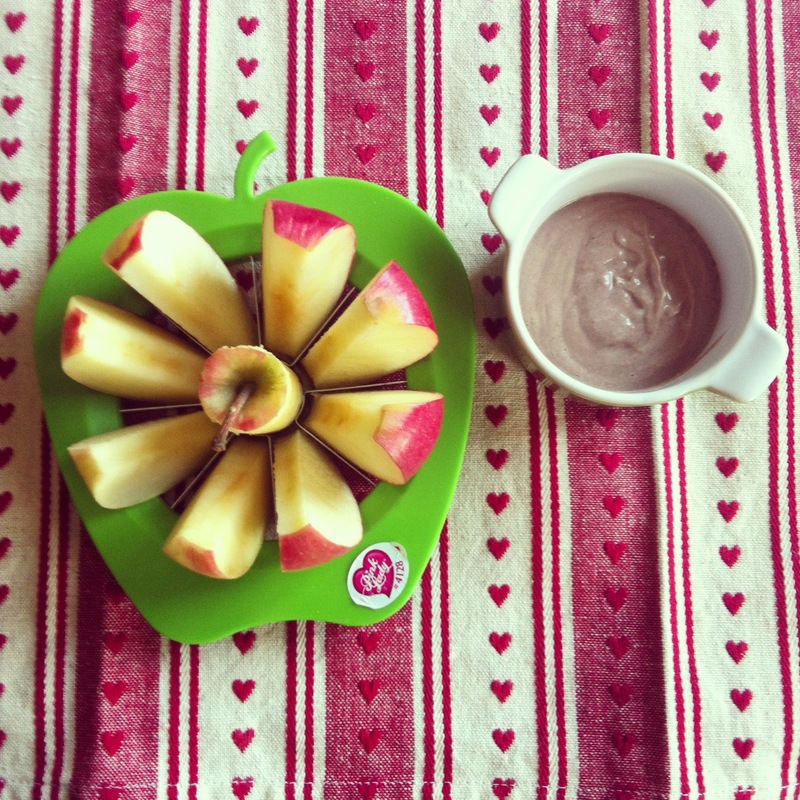 Calorie stats are for per 1/4 of the standard dip, minus any fruit! Above: For an even skinnier *chocolate* version simply mix 1/2 cup of yoghurt with only 1 tbsp of peanut butter & 1-2 tsp of cocoa and 1-2 tsp of stevia (a natural sweetener) to your taste! 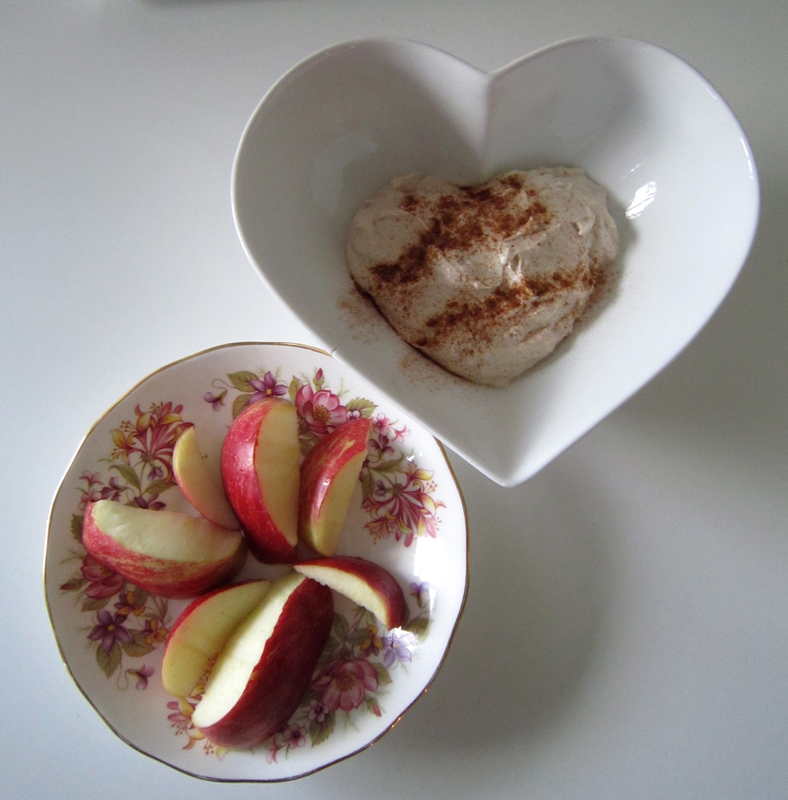 Above: You can also change the nut butter to suit your taste – I used cashew nut butter in this recipe! 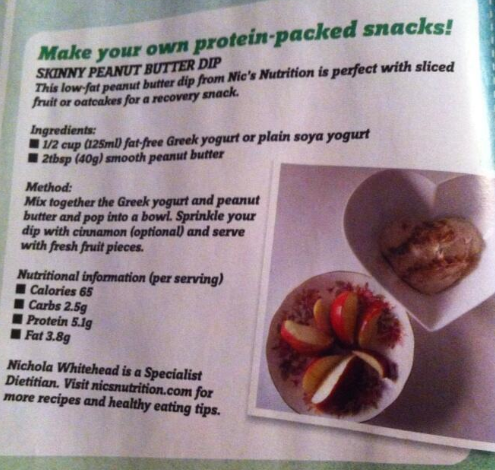 UPDATE: As featured in Women’s Running Magazine September 2013! Previous Post Almond Snack Challenge! This would be good with flax chips, too!! Tried this recipe today and loved it! We had it with apple slices but I think it would be good with celery too. Definitely one I’ll be making again as it really satisfied my peanut butter cravings! Oooh with Kiwi sounds so good! Thanks for your comment Nicole! Yummy! Just scoffing some with apple and oatcakes!